Got up early on Saturday morning and made a quick trip over east. 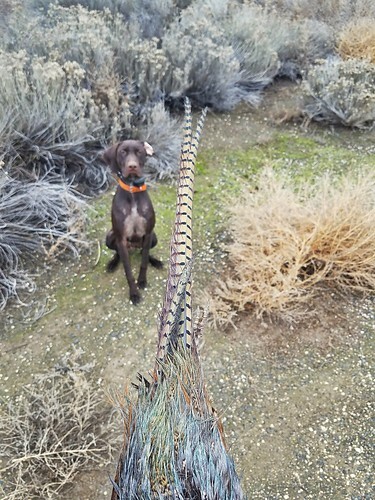 Moose pointed 3 roosters and being solo I picked the wrong side of the trees on 2 of them. The 3rd point was in some tall reeds and the bird held tight. Moose had to have been pointing it within inches because when it flushed, it flushed in the same spot I saw the reeds moving last. Also, added 2 bonus quail. Great day. That makes rooster #12 for moose! He is having a great year so far. He turned 1 year old last Wednesday (11/29) and has without a doubt, exceeded my expectations. Super cool to see a young dog get it. That is awesome! Gotta love that work and success!!! 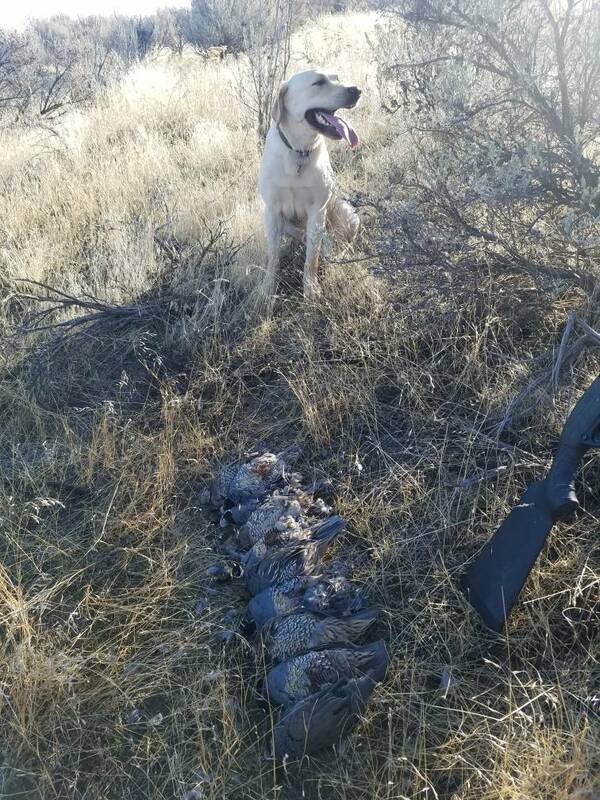 I've had a pretty good season.... 15 Pheasant so far and about 10 Quail. 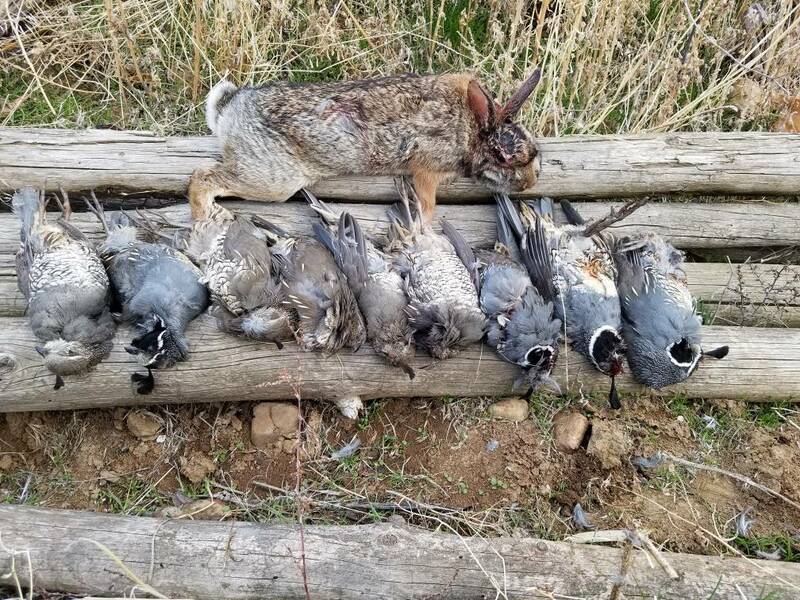 No Huns this year, they are hit and miss in the area I hunt. 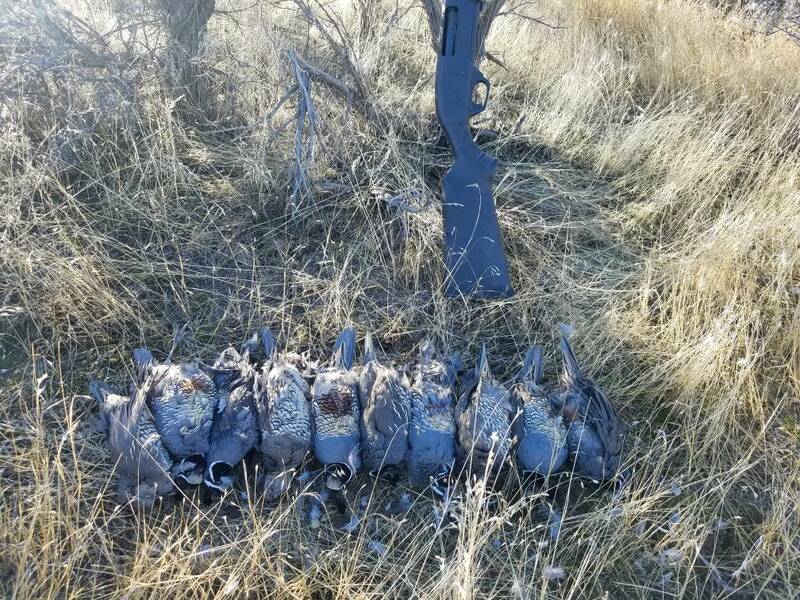 With the colder weather I expect to limit out on Pheasant pretty regularly. 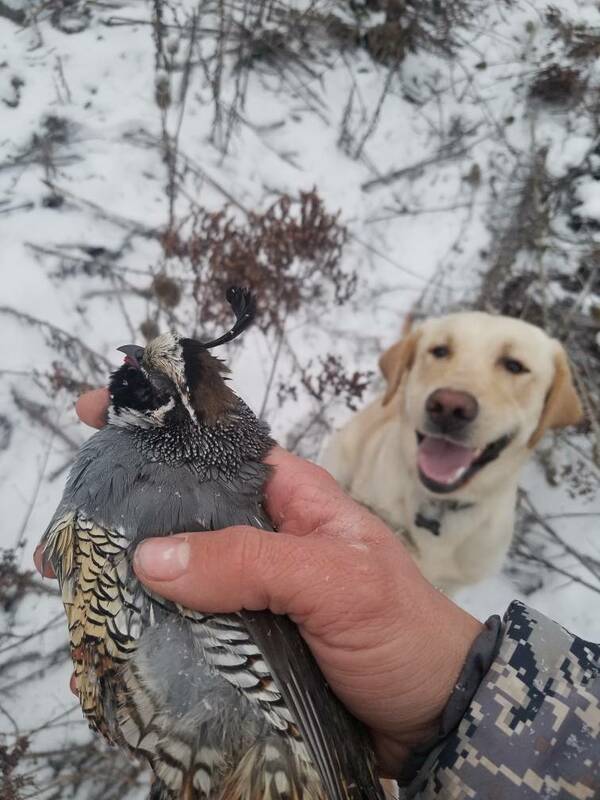 Short 10 minute hunt today, good dog work from my 2 labs and lots of birds put me at 76 qual for the season! were you hunting the YTC? 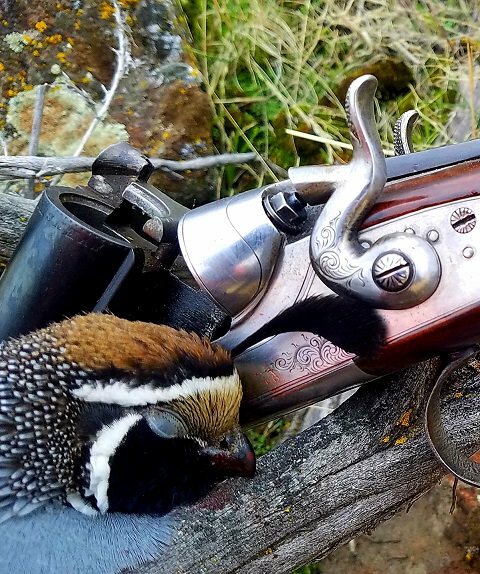 And here's #100 quail for the season! Fished 2017 with a few bangs and hope to ring the new one in tomorrow with a bunch also.